Brendan Rodgers has confirmed Celtic are set to sign Maryan Shved, but appears less than enthusiastic about the recruitment of the winger. The Celtic manager was asked about the 21-year-old Ukraine international, who plays for Karpaty Lviv, after the 4-0 Ladbrokes Premiership win over struggling St Mirren at Parkhead which took them one point clear of Kilmarnock at the top. 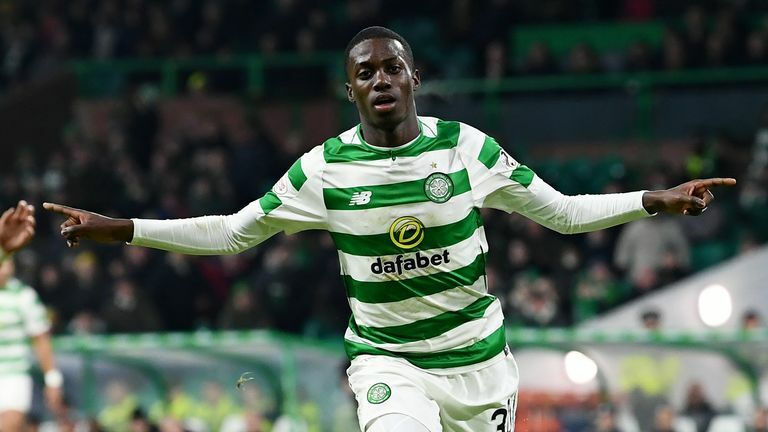 Oliver Burke scored his first Celtic goals - with a double - while Scott Sinclair grabbed the second from the penalty spot and substitute Timothy Weah, on loan from Paris Saint-Germain, added a late fourth. "We've got about a million wingers and don't need another one but he's a talent and in the summer we'll probably lose wingers and he'll look to come in. It's an opportunity for the club to sign a young talented player but not one that will probably help us now. "I haven't seen a great deal of him to be honest, it is something that has come to the club through circumstance and he has been watched. I think that they will look to get the deal done on him and he will probably be out on loan." One surprise to the team selection was goalkeeper Scott Bain again being preferred to Scotland international Craig Gordon. But Rodgers explained: "I've got two very good goalkeepers and I'm giving Scott a little run in the team because I know what Craig can do. Rodgers was pleased with his side's performance during the convincing league victory following their William Hill Scottish Cup win over Airdrie at the weekend. "It was a very good win for us," he added. "I thought the first game was a good performance and the mark of a good team is to go into next game and perform better. "I enjoyed how we played, it is not easy against a team so compact and tight. Oliver (Burke) is a talent, we are giving him clarity in terms of what he has to do, his job, to create goals and score goals and he has done that."